Specification: 99% Min. 98% Min. 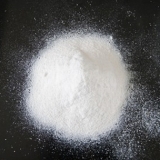 Uses: It is used to produce fluorenone, lumefantrine, 2,7-Dichlorofluorene (2,7-dichloro-9H-fluorene), and also used to make pharmaceuticals ,dye intermediate ,synthetic pesticides, herbicides and so on.